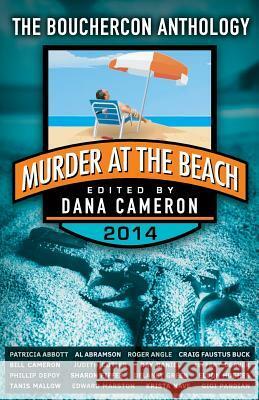 "The Hit-Man," by Roger Angle, in Murder At The Beach: The Bouchercon Anthology, edited by Dana Cameron, Down & Out Books, 2014. The good news is that Amanda's little shop in Venice, California is doing well. The bad news is that some bad guys want to buy her building at a fraction of its worth. The good news is that her father is a hit-man with an arsenal in his car trunk, all ready to wreak havoc on her enemies. The bad news is that he's actually a retired hit-man, half-blind, limping, and his hearing isn't so good either. The good news is that he remains determined to do anything necessary for his little girl. And for an alternative point of view, at SleuthSayers I provide my list of the best stories of the year. Somehow I missed this news. The Wolfe Pack announced the winner of the 2014 Black Orchid Novella Award. K.G. McAbee's "Dyed to Death" will appear in Alfred Hitchcock's Mystery Magazine later this year. As a former BONA winner I want to add my congratulations. 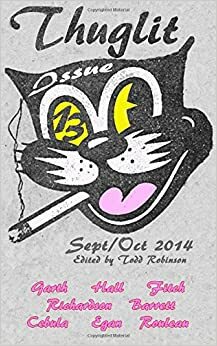 "The Ice Cream Snatcher," by Bryan Paul Rouleau, in Thuglit, issue 13, 2014. Thuglit has upped its game since the last time I looked in at it. Lot of good stories here. But lets talk about Mr. Rouleau's contribution. I have said I am a sucker for stories in which a character is offered a chance at redemption, whether or not he takes it. And that's what this tale is all about. Sunrise thinks he's beyond such things. All though he doesn't have the vocabulary to say it, he feels he's doomed, predestined to crime. You see, someone told him you never recover from bad things that happened to you before you turn three, and really bad stuff happened to him. And that, he figures, is why he keeps ending up in jail. On this particular occasion he had his friend Pedro steal a Maserati. They get away clean but they don't notice that there's somebody in the back seat. What I love about this story is that Sunrise interprets what happens so differently than the reader is likely to. If there is doom here, I suppose that his attitude is it. 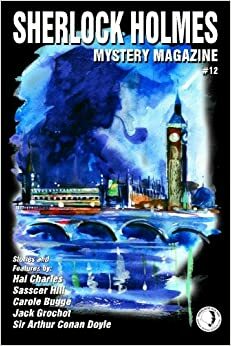 "The Killing of General Patton," by William E. Chambers, in Sherlock Holmes Mystery Magazine, issue 12, 2014. Burton Wells is a veteran of World War II, during part of which he served as an aid to General George Patton. In current times he is haunted by nightmares about Patton's death in a jeep accident shortly after the war attended. And he has reasons for those nightmares. Mr. Chambers has written an intriguing story. I wonder if he was aiming for the MWA anthology of cold war stories? It would have been a good fit there. I started a new blog this week, reporting every day on some event in the history of mystery fiction. Read it here or read about it at SleuthSayers. Hope to see you there, everyday. "Their Little Secret," by Anita Page, in Murder New York Style: Family Secrets, edited by Anita Page, Glenmere Press, 2014. This anthology, by the way, was created by the New York/Tri State Chapter of Sisters in Crime. The story is about a disfunctional family and focuses on fifteen-year-old Cassie, the only child. Her parents don't get along so well. Cassie, expert reader of moods and body language, figured they were minutes away from the Sunday night fight. Cassie's mother - drunken, mean, and blatantly unfaithful - has decided that she and her daughter are going off to Long Island for the summer, even though her husband can't get away. Cassie ain't thrilled. "I call this hell." Things get bad. Then they get worse. The whole story is good but what makes it a winner for me is one sentence on the last page. I wouldn't call it a twist ending, but it is a neat sting that gives us a new persective on what has gone on before.